The introduction of the Feast of Christmas dates back to the very beginning of Christianity. The introduction of the Feast of Christmas dates back to the very beginning of Christianity. Before the fourth century, Eastern and Western Churches celebrated the feast of “Manifestation” or Epiphany. It was held on January 6th and was related more to the Baptism of Jesus rather than to His Birth. The first separate celebration of the feast of Nativity happened in Rome in the first half of the 4th century. At that time it was moved by the Roman Church from 6th of January to December 25th with a goal to create a counterweight to a pagan cult of the Sun and to prevent Christians from participating in it. It is known that on the 25th of December Romans held a celebration of the winter Solstice – the day of the manifestation or birth of the Sol Invictus, or the Invincible Sun, that could not be defeated by the Winter and would gloriously march towards the next Spring. It made this day highly suitable for the remembrance of the Nativity of Jesus Christ, Who in the New Testament is called the Sun of Righteousness, Light of the World, Savior of Men and Defeater of Death. 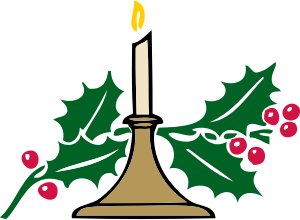 The celebration of the Feast of Christmas on the 25th of December* was introduced later in the Eastern Church than in the west – some time in the second half of the 4th century. The first separate celebration of the Nativity of Jesus Christ and the Baptism of Jesus happened in the Church of Constantinople around the year 377 by the order of Emperor Arcadius in accordance to the traditions of the Church of Rome and thanks to the energy and eloquence of St. John Chrysostom. 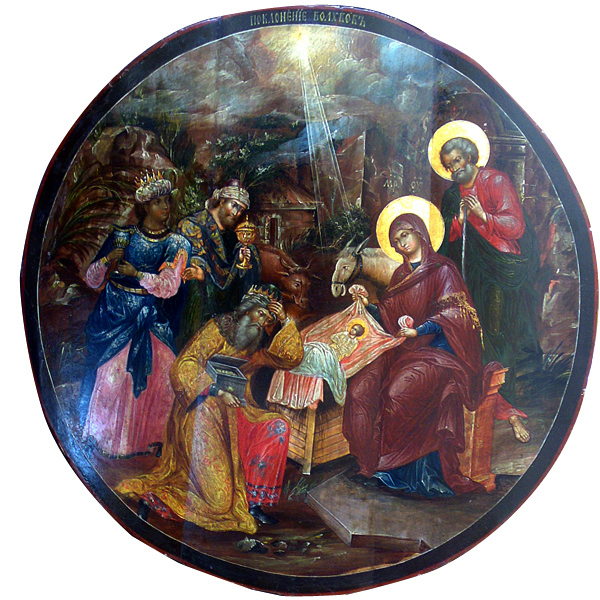 Thus this custom to celebrate the Nativity of Christ on December 25th started in Constantinople and disseminated throughout the entire Orthodox East. One of the main ways to convert pagans to Christianity became using pagan beliefs and rectifying and infusing them with Christian meanings. Christianity took the well known theme of the Sun as a symbol of Light and of Life and used it to introduce the faith in Christ. In this way the Feast of Christmas became a celebration that fulfills the hopes and expectations of all men. And to everything that pagan men put into the sacred meaning of the sunlight, to its rationality and divinity, to all this Christianity gave the name – Christ. It is on this day that, throughout the entire inhabited world, the Holy Church brings to our remembrance and observes that most majestic and sublime of mysteries: the Incarnation of God the Word from a Most-pure virgin through an outpouring of, and an overshadowing by, God's Holy Spirit. Wondrous, inexpressible, and awesome is this mystery, both for the exalted and all-contemplating celestial minds of those who dwell in the heavens: the ranks of the angels, – and for the minds of men, enlightened by the Holy Spirit. Imagine: the unoriginate God from Whom everything received the commencement of its existence: the Angels, and the human race, and the entire world, both visible and invisible, – takes a beginning in His humanity. He Whom the heavens cannot contain – is contained in a virginal womb. God – becomes an infant, and is borne upon the arms of a Mother. He Who nourishes every breath – is nourished by paps. The science of astronomy has learned and affirms that, in the order of creation, our earth is but a barely-noticeable point; that millions of worlds around our own fill up the vastnesses of space. And, lo! this single point, this barely-noticeable globe of God's creation, being inhabited by men, – has been accounted worthy of the inexpressible honour of bearing upon itself God-in-the-Flesh, the God-Man, Who did deign to dwell amongst men, to teach erring mankind the knowledge of God, to work innumerable miracles of good, to preach repentance and complete forgiveness of sins; to suffer and to die as an holy Sacrifice for the sins of the world, to be resurrected through the power of Divinity from amongst the dead, – having vanquished death, which is natural to all men, – and to make a gift of resurrection to the entire human race. Not a single one of the visible worlds, save the earth, has been deemed worthy of this greatest of all honours: for it was only upon the earth that Jesus Christ, the only-begotten of the heavenly Father, had a Virgin-Mother, and He alone was Her Son by way of humanity. Why was the earth given such preference? Why was it only on earth that God appeared in the flesh? – This is a great Divine mystery, a mystery of immeasurable loving-kindness and of God's condescension to perishing mankind. Thus, God did appear in the flesh: rejoice and be exceeding glad, O earth; rejoice and celebrate, ye earth-born. The Creator Himself did come to you, in order to create you anew; to restore you, who were corrupted by transgressions. To you did He come: the almighty Physician Himself, – powerful to treat all the inveterate afflictions of sin, – in order that He might heal all the passions of the soul and all the infirmities of the body, – all of the which He truly did do, as we know from the Gospel and from the history of the Church. Thus, greet Him joyfully – with pure minds and hearts, with bodies chaste and restrained by fasting and abstinence, which the Holy Church has thoughtfully instituted prior to this great feast in order to prepare us worthily to meet the heavenly Tsar', Who comes to us in order to abide in us. He came to us with the mercy and good will of His heavenly Father, – and from us He demands mercy toward our neighbours; He is the righteous Tsar' – and He demands of us all righteousness; for He, too, as a man, fulfilled all righteousness (Matt. 3,15), showing us an example and providing us with grace and the strength to carry it out. He Himself did suffer for us, having borne the cross; and He taught us to deny ourselves, – or our sins and our passions, – and to follow after Him, doing what is holy out of reverence for God (2 Cor. 7, 1). He came to heal our souls, ailing from sin, and commanded all to repent; let us ever, then, be earnestly contrite, correcting ourselves and striving toward holiness and perfection. The holy Angels, at the Nativity of the God-man, did declare peace unto the world; and unto men – the good will of the Heavenly Father. Let us then, ourselves, have within us a peaceful conscience, and let us be at peace with everyone, if possible. Be at peace and be holy with all, sayeth the apostle, – for without this shall none see the Lord.